Our F.A.S.T. Team - F.A.S.T. I started my career in the leisure industry working in Swansea Leisure Centre as a lifeguard and swimming teacher, while progressing through swimming teaching qualifications. I moved to Cornwall and began working for the local council in Truro pool, again as a swimming teacher and duty manager. During this time I delivered staff training to the pool staff and to other council workers, including lifeguarding and first aid. I have always enjoyed teaching and had the chance to train as a first aid trainer with St John ambulance when I left the council, where I worked as a full time first aid trainer with the British Red Cross in Truro. In 1994 I decided on a career change and completed a degree and started working in several FE colleges in Cornwall. I delivered many different programmes at various levels. I moved to Truro College and had several different areas of responsibility. I delivered a wide variety of health and safety related programmes, and developed several specialist staff training programmes in areas such as anaphylaxis awareness, seizure management and diabetes awareness. ​I have always enjoyed teaching all ages and take delight in helping people to succeed. After 20 plus years in teaching and 15 years in local government I have moved onto running my own company. I offer a very diverse range of services to my customers and I am very much looking forward to developing the company further. Admin, accounts and financial manager. Spent 40 years in sales and 20 years in the watch, clock and jewellery business in Truro. 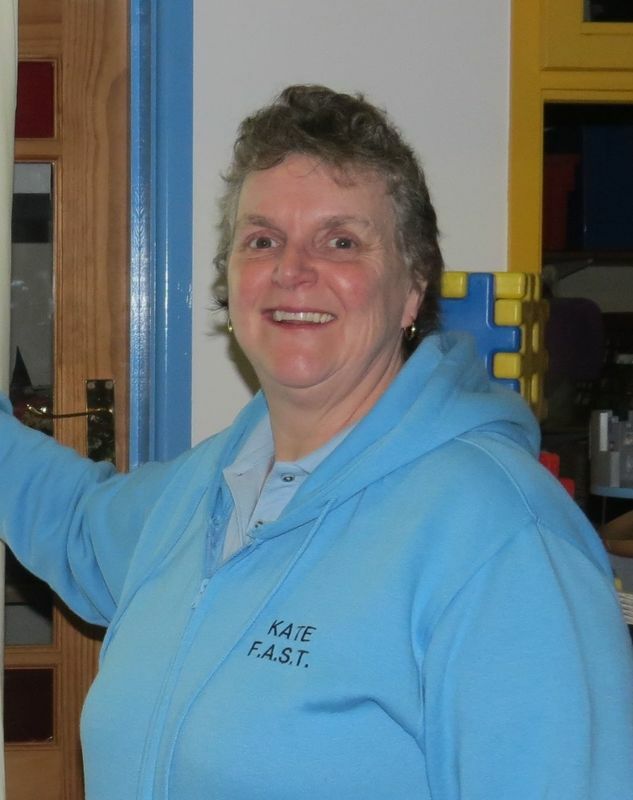 I retired in 2002, but for the past few have been the 'backroom' boy for Kate and F.A.S.T. ​Meet Henry the latest member of the FAST team, look out for him on the roads of Cornwall and give him a wave.